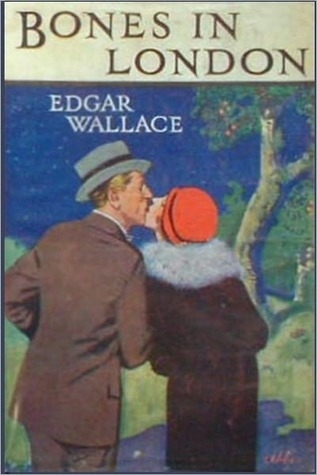 Richard Horatio Edgar Wallace (1 April 1875 – 10 February 1932) was an English writer. Born into poverty as an illegitimate London child, Wallace left school at 12. He joined the army at 21 and was a war correspondent during the Second Boer War for Reuters and the Daily Mail. Struggling with debt, he left South Africa, returned to London and began writing thrillers to raise income, publishing books including The Four Just Men (1905). Drawing on time as a reporter in the Congo, covering the Belgian atrocities, Wallace serialised short stories in magazines, later publishing collections such as Sanders of the River (1911). He signed with Hodder and Stoughton in 1921 and became an internationally recognised author. A prolific writer, one of Wallace's publishers claimed that a quarter of all books then read in England were written by him. As well as journalism, Wallace wrote screen plays, poetry, historical non-fiction, 18 stage plays, 957 short stories and over 170 novels, 12 in 1929 alone. More than 160 films have been made of Wallace's work. He is remembered for the creation of King Kong, as a writer of 'the colonial imagination', for the J. G. Reeder detective stories, and the Green Archer. He sold over 50 million copies of his combined works in various editions and The Economist describes him as "one of the most prolific thriller writers of [the 20th] century", although few of his books are still in print in the UK.--Wikipedia. Epub 20190108.epub If you cannot open a .mobi file on your mobile device, please use .epub with an appropriate eReader. Mobi/Kindle 20190108.mobi Not all Kindles or Kindle apps open all .mobi files.